Matumba is a fabulous member of our Darwin community and has lived in Darwin for 16 years. Matumba grew up in Darliston near Montego Bay in Jamaica in the Carribean with his Grandma until he was eight years old. It was pretty simple living, but food was always important, using whatever was grown on the island and available. A real treat and childhood favourite was Cassava Pone- a sweet desert made of grated cassava, sugar and spices. It is like a cake with no flour- there was a lack of flour and only corn maize was available, or local roots Taro and Cassava, which we are happy to be able to grow here! 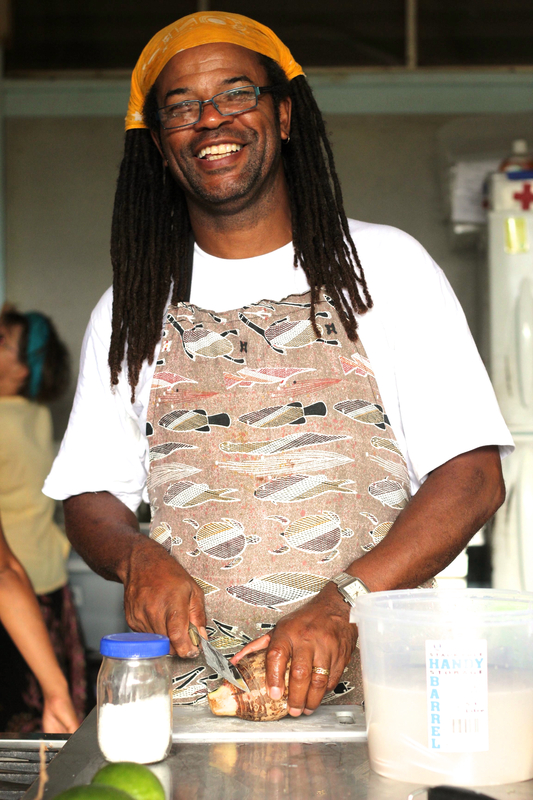 Matumba moved to London when he was eight to join the rest of his family, but Jamaican cooking still was an important part of life, but a lot of the ingredients had to come from far, but were available due to a strong Caribbean community in London. After leaving London and travelling in Greece and Australia Matumba settled in Darwin, where he know lives with his family and is happily growing Cassava and other tropical veggies that are so familiar from his childhood. 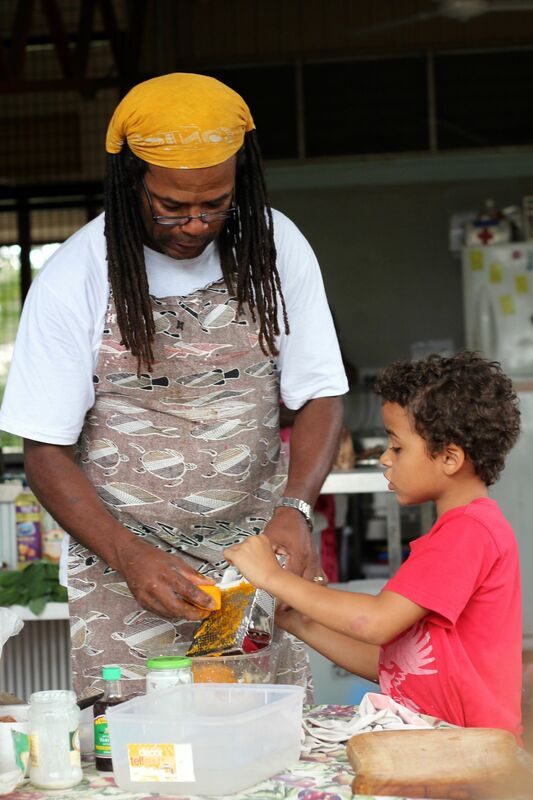 Matumba shared his story and cassava pone recipe with the GULP team and a large audience of other Darwin community members, with the help of his son Darliston! Combine cassava with milk, sugar and spices and mix well. Add coconut, hot water and melted butter. Mix briskly and taste for sweetness desired. Add more sugar if necessary, pour into greased Pyrex dish.